All extensions purchased on the JOOMLATEMA.NET website are done so in accordance with the following published Terms of Service. By registering or purchasing our extensions, you are automatically bound by these terms. JOOMLATEMA.NET reserves the right to change or modify these terms with no prior notice. 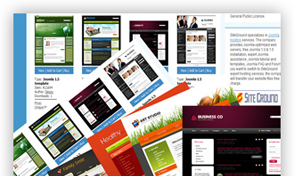 Our company provides a payment-based download service for our extensions. Your payment grants you the rights to download the product for limited time download. You have only one download right of download time current version of product for each payment. If you want to download the updated future version you need to make another payment and download the product for another period/download. Even after your membership expires, you may continue to use the product, so the extensions are not time-limited. Note that upgrades will only be available for who made a new payment. You are authorized to make any necessary modification(s) to the product to fit your purposes. Redistribution of the original or any modified version must always be done in accordance with our licenses. In this case, you must also not change or remove any of the copyright information existing in the source code of the product. Subscriptions or download rights can not be shared. Sharing or other methods which allow for multiple, simultaneous downloads (and thereby affect the performance of this web site) are strictly forbidden and may result in termination of your download rights or subscription. You may not sub-license, assign, or transfer your subscription to anyone else without prior written consent from JOOMLATEMA.NET. Subscriptions or downloads will be immediately activated after we have successfully received the payment. You may not claim intellectual or exclusive ownership to any of our products, modified or unmodified. 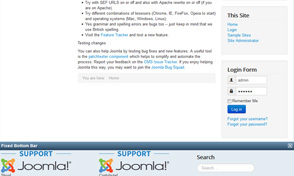 All products are property of JOOMLATEMA.NET. Our services are provided as-is, without any warranty whatsoever. The exact terms of our software license can be read by above the "License Policy" part. Regarding the support services, we can not guarantee the validity or veracity of any provided information or suggestion. IN NO EVENT UNLESS REQUIRED BY APPLICABLE LAW JOOMLATEMA.NET, ITS OWNERS, STAFF, ASSOCIATES OR ANYONE AFFILIATED WITH ITS MAINTENANCE, OPERATION OR HOSTING BE LIABLE TO YOU FOR DAMAGES, INCLUDING ANY GENERAL, SPECIAL, INCIDENTAL OR CONSEQUENTIAL DAMAGES ARISING OUT OF THE USE OR INABILITY TO USE THE SERVICES (INCLUDING BUT NOT LIMITED TO LOSS OF DATA OR DATA BEING RENDERED INACCURATE OR LOSSES SUSTAINED BY YOU OR THIRD PARTIES OR A FAILURE OF OUR PROGRAMS TO OPERATE WITH ANY OTHER PROGRAMS), EVEN IF SUCH PARTY HAS BEEN ADVISED OF THE POSSIBILITY OF SUCH DAMAGES. Should the applicable law hold JOOMLATEMA.NET, its owners or any party affiliated with it liable for damages, the maximum amount of damages acknowledged shall be no higher than 5 US Dolars. 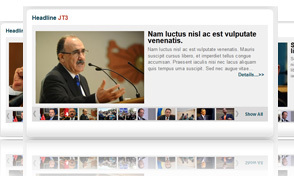 Shall any dispute arise between the owners of JOOMLATEMA.NET and a third party, the only applicable jurisdiction is the Courts of Law of the Istanbul T.C. Istanbul Adliyesi, Turkey.